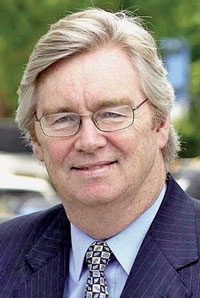 Reilly will retire after 37 years with GM. FRANKFURT -- General Motors Co. said Nick Reilly, the head of its European business, will retire after 37 years with the company and will be replaced by Opel chief Karl-Friedrich Stracke. Stracke will take over as president of GM Europe on Jan. 1 and will remain CEO of Opel, GM said on Monday. Reilly, 61, will stay on as an adviser until he retires in March. GM attempted to sell off loss-making Opel but dropped that plan in 2009 and appointed Reilly to head the business, which lost $1.6 billion last year. "Nick Reilly has answered the call for GM at every turn," GM CEO Dan Akerson said in a statement. "He returned to Europe and successfully led the turnaround of our operations there during one of the most tumultuous times in our company's history." 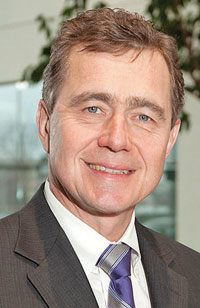 Before taking charge of GM Europe, Reilly was head of GM's international operations based in Shanghai. A Welshman, he is a former managing director of Vauxhall who joined GM in 1975 with the former Detroit Diesel Allison Division in the UK. Stracke must create sustainable profits at GM Europe. Earlier this year, GM appointed Stracke to head Opel but kept on Reilly as head of the overall European business. Stracke was previously the vice president of global vehicle engineering, based in Detroit. "Karl Stracke has tremendous product experience and a proven track record of teamwork across organizations," Akerson said. "His results-driven style will build on the great work he and Nick started to position Opel/Vauxhall and GM Europe for sustainable and profitable growth." GM Europe, which includes UK sister brand Vauxhall, expects to break even this year and show a profit in 2012.